Location, Location, Location! 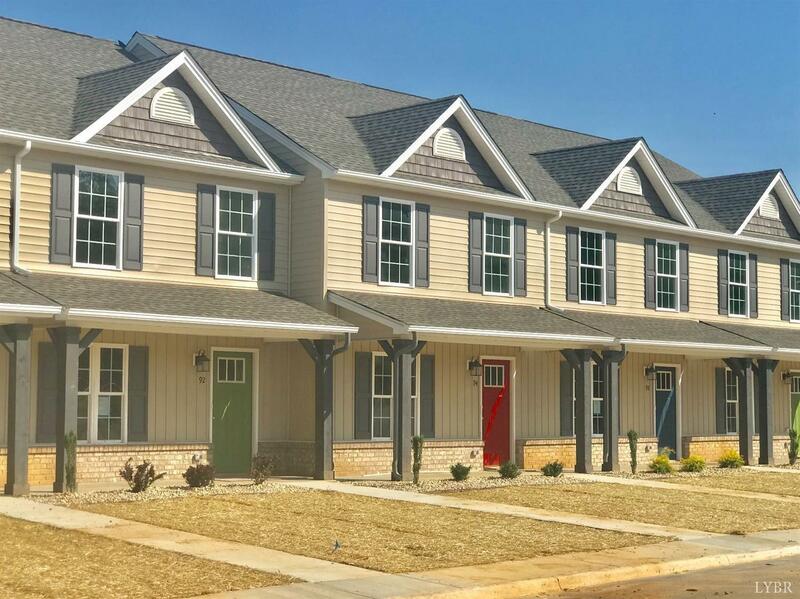 This 3 bed 3 Bath, Townhome is only minutes to Liberty University, shopping, and Lynchburg Regional Airport. The main level boasts living room, dining room, kitchen, main level bedroom and full bath. The kitchen offers granite counter tops, subway tile back splash, tile floors, and full Stainless Steel appliance package. The second level boasts of two master bedrooms each with en suite baths equipped with granite countertops and tile floors, walk in closet and laundry finish off the second level. Wood flooring on main level. Tile bathrooms, carpet in bedrooms. Low HOA fees and county taxes. Interior pictures are of previously completed model, finishes will be the similar.